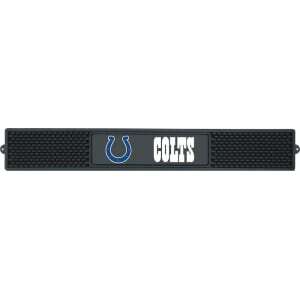 Indianapolis Colts Fanmats Drink Mat Black from Target. area and rail protected from spills and excess liquid. With enough room to neatly pour multiple drinks, the Colts Drink Mat comes complete with a textured surface for non-slip traction and a distinctive team logo on a black background. Dimensions measure 3.25x1""x24"". Hand wash only.